This basic dorm rug has more to it than only adding a layer of navy color to your college decor. 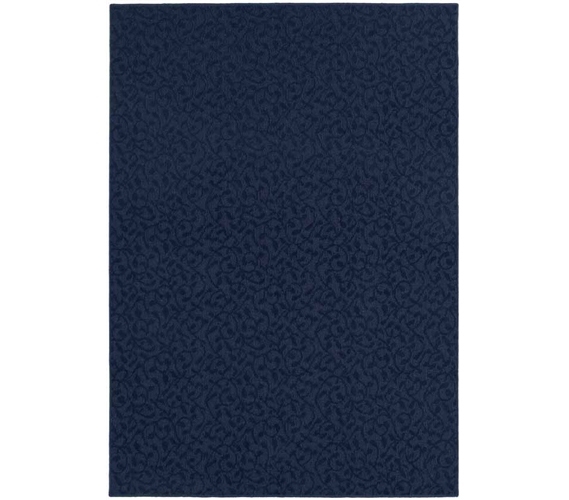 The College Ivy Rug - Navy Blue has a subtle ivy pattern running across it, bringing a unique dorm room decoration to your college supplies. When decorating your dorm, start with the floor. After all, it's one of the biggest sections of your dorm room! A cool-looking rug for college is all that dorm floor needs to go from regular to something decorative and more comfortable. Plus, with the navy color, it will match with a variety of other dorm decor and dorm room themes. Area rugs bring more than comfort to college dorms, however. They also bring a touch of homeliness, that feeling that makes a regular room feel like your own room. It takes the right supplies for dorms to create that feeling, and that's why college rugs should be on your dorm shopping list. More than just dorm accessories, the best rugs for college will deliver some comfort both for your feet and for your general well-being. It's your task to make that dorm room yours, so keep that in mind while you're shopping for college.